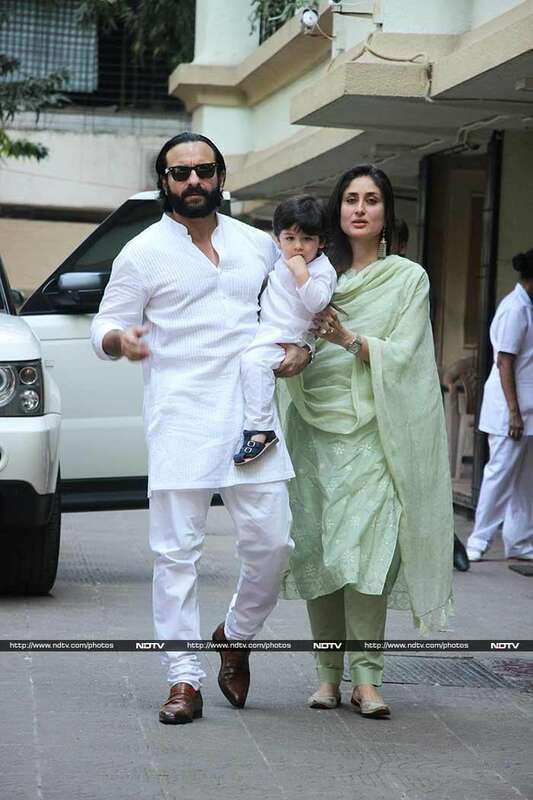 Kareena Kapoor, Saif Ali Khan and Taimur celebrated Diwali at Karisma Kapoor's office on Wednesday. Kareena looked stunning in a psitachio coloured outfit. 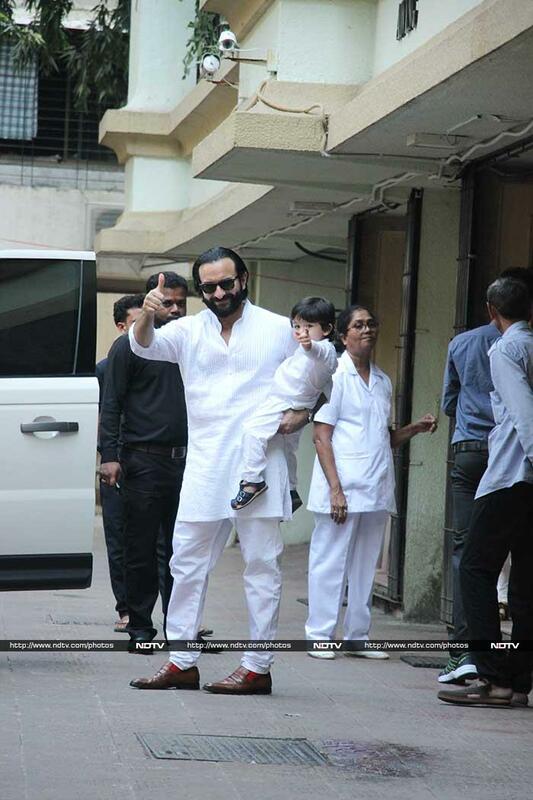 Saif Ali Khan and Taimur were seen twinning in white outfits. Karisma Kapoor, Kareena and Samiera Kapoor posed for the shutterbugs. Meanwhile, Govinda celebrated Diwali with his family in Mumbai.